TikiCat is a "secret oasis" featuring authentic tiki cocktails and decor. tikicat is critiki.com's #1 tiki bar in the world! 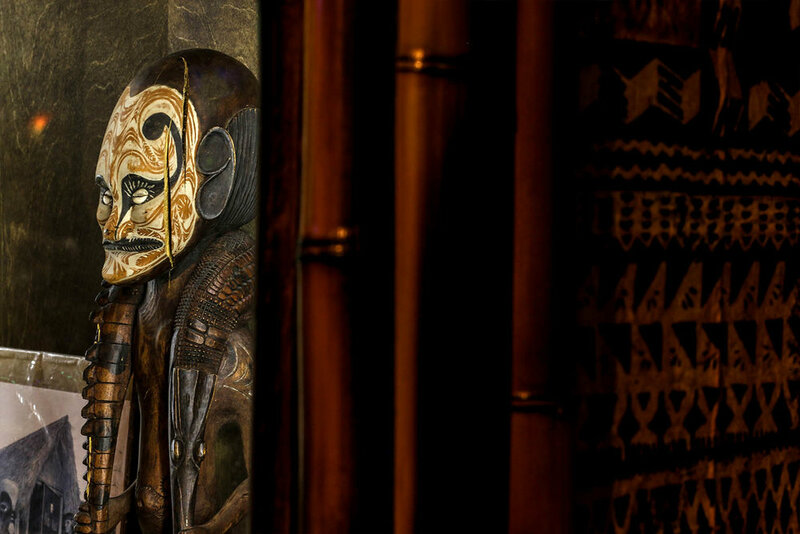 Kansas City once had several well-known tiki bars, including Castaways, Kona Kai and Kon-Tiki, each of which graced the city with its own take on a Polynesian getaway. With their outlandish tropical decor and exotic drinks, they were the source for many memories for generations of KC residents. TikiCat reflects my love for Tiki culture and cocktails, and my love for Hawaii (which I have visited many times). I built this place to be a retreat from our Midwestern lives. Whether it’s a cold day in January or a blistering hot day in July - - I want TikiCat to feel like a tropical hideaway, where you can escape reality - - if only for a few hours. We craft our cocktails to order, one by one, with fresh juices, good booze and our own aloha spirit. Doing things this way sometimes takes longer than your typical bar drink, so hang loose, kick back, relax, and enjoy this secret “oasis” in the city. The creation of our drink menu was overseen by world-renowned mixologist Martin Cate. Martin is a well-known tiki bar owner and author of the James Beard award winning book "Smuggler's Cove". He has been kind enough to consult with us on our recipes and help train our bartenders. For more information about Martin, go to MartinCate.com. 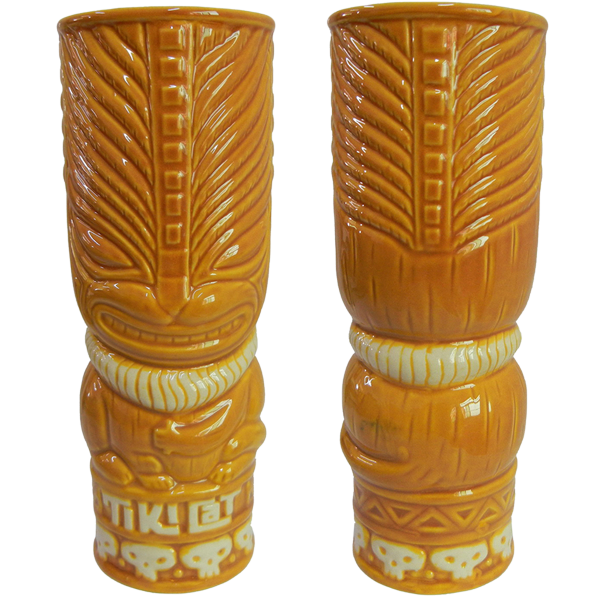 The world's most iconic tiki cocktail. An elegant combination of rare rums supported by fresh lime, orange liqueur, and a hint of almond. Presented as it was intended by Trader Vic himself in 1944. There have been a lot of shady Zombie recipes over the years, but only one original: Don the Beachcomber created a Zombie you could trust. Why mess with perfection? Three different rums in blistering quantities, Golden Falernum, fresh lime & grapefruit juice, cinnamon & grenadine syrups & herbstura. Experience one of the few tiki cocktails from the 1960's made with bourbon instead of rum. Old Forester Bourbon, egg white, passion fruit syrup, fresh lemon juice & honey. Gin and coconut are old friends in the Caribbean, believe it or not. You'll swear you can feel the sand on your toes and the sun on your face. Bombay Sapphire gin, sweetened condensed milk, coconut water and a hint of freshly grated nutmeg & cinnamon. Not sold on tiki rum drinks? Try this one on: Silver rum (we didn't say it didn't have RUM in it!) gin, cognac, fresh orange & lemon juice, orgeat syrup & a float of sherry. Bracingly bright for cold nights aboard ship. This is drink is officially unforgettable. You've probably had it without knowing it. Maybe you forgot? Let us help you remember: a memorable portion of blended aged Jamaican rum, fresh lime juice, demerara syrup, Allspice Dram, and a couple dashes of bitters to further jog the memory. 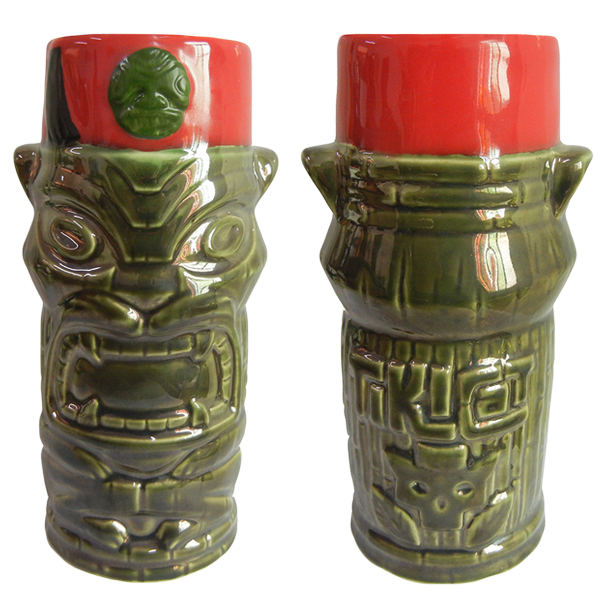 We think this classic tiki punch is perfect for sharing for the sole reason of there being witnesses to corroborate your story. A collection of rums, gin & brandy with fresh orange & lime juice, demerara & orgeat syrups. And we throw in some fireworks. We'd recommend you take a photo for the morning after. This is a great vintage exotic cocktail, created by Don the Beachcomber, circa 1937. A blend of rums, blackberry brandy, grenadine, demerara syrup, lime juice & bitters. It’s the perfect balance of rum boozey and bright berry. He liked it so much, he named it as his own. This drink has been trademarked by Pusser's as their official cocktail and it was created on the island of Jost Van Dyke in the BVI. The more you know, right? Well know this, son: Pusser's Navy Rum, fresh pineapple & orange juice and cream of coconut. Know this too - I like turtles. Classic and rarely seen tipple from our old pal Trader Vic that will sneak up on the unsuspecting drinker. A blend of rums, orange & lemon juice, grenadine & allspice syrup. Stay alert and approach this blend of three rums, spices and fresh juices with caution! Nothing is more simple and yet more delicious than a properly made daiquiri. Aged Jamaican rum, fresh lime & demerara syrup hand-chilled with a mountain of crushed ice. This one is for the whisky drinkers. Old Forester Bourbon, Giffard Ginger Of The Indies liqueur, honey & fresh lemon juice. Rock on ancient queen. Blenders are your friend, when you put good ingredients in them! The right amount of Rhum, banana and coconut in this riff on a Caribbean poolside classic will sooth your soul until the daylight come. When the wind is right, you can sail away. This 1970's tiki drink from Jamaica combines a mix of rums, apricot and coconut. Plus a nice Overproof surprise. See if you can find it and tranquility. Be a good kid. Do your homework. Go to college. Take out loads of student loans. Graduate at the top of your class. Get a job bartending. Make the perfect drink. Bombay Sapphire, Barsol Pisco Quebranta, simple syrup, fresh lime juice, egg white & orange bitters. If you know the incomparable Puka Pumba then you know what's in store for you. Plenty of rum, apricot liqueur, allspice dram, coconut water, fresh pineapple & lime juice, orgeat & demerara syrups will set you on the path to tiki paradise. Hakuna matata! There are three essential parts to every cautionary tale. First something forbidden is stated. Second the narrative itself is told - this is where things go wrong. Finally, the grisly end. What's missing is this mix of gin, orange dry curacao, allspice dram, cinnamon syrup, lemon and lime juices topped with ginger liqueur-cinnamon egg white foam . It will help you write a happier ending to your night's tale. Cool and complex. Just like our pajamas. Old Forester, Coruba rum, half & half, orgeat syrup, pineapple, orange and lime juice. Garnished with fireworks. Just like our pajamas. This drink reminds us of a girl from KCMO who stumbled into a bar where we were sitting one afternoon. Aged rhum, fresh lime juice, cinnamon syrup & some grapefruit radler. A little sweet, a little tart, a little boozey and definitely unforgettable. That perfect moment. You know it. They know it. Smile…you're in the cat bird seat. 3 types of rum, blackberry brandy, orange Curaçao, demerara syrup, fresh lemon & lime juice, orange bitters and a jungles worth of garnish. Several noted artists were involved in TikiCat's design. Click their name to visit each artist's website. Because TikiCat is a cocktail-only oasis, we ask that all guests who enter our doors be 21 and over. NEW: Show your reservation confirmation at HopCat upstairs and receive 15% off your total food bill at HopCat -- perfect for dinner or snacks before or after your TikiCat visit! Attention: if you are unable to make your reserved time, please contact us to let us know. If you do not inform us in advance, your credit card will be charged $10 per person.. Please note that we are an oasis of limited space; we ask that parties of 7 or more please call us at (816) 256-4649 for accommodations. Parties will not be sat until entire party arrives. Reservations will be canceled if entire party has not arrived by 15 minutes after reservation time. If reservation size changes, please inform us in advance or your reservation may be invalidated. We respect your privacy. We won't sell your information to third parties. You can unsubscribe anytime and we'll still love you.